Alia Bhatt’s Raazi is already doing wonders at the box office but its latest feat is something that need to be boasted about. Alia Bhatt, singlehandedly, has surpassed Akshay Kumar’s PadMan. Raazi‘s Monday collections has made this possible. It collected 3.70 crores on its 2nd Monday and it has already become the 2nd most highest profitable venture of 2018. The total collections of the film is 82.03 crores which is higher than what Akshay Kumar’s PadMan collected in its lifetime. PadMan was released in February earlier this year, collected 78.95 crores which is now surpassed by Raazi. Its next target is Ajay Devgn’s Raid which stands at the total of 101.54 crores. Based on Harinder Sikka’s book Calling Sehmat, the story of the film Raazi revolves around a young Kashmiri girl who gets married to a Pakistani Army officer and becomes a spy to give inside information about the neighbouring country to protect her own. Alia Bhatt Beats Akshay Kumar & Ajay Devgn With Raazi; Check Out How! “Films are purely driven by content. This film highlights emotions, situations and passions so beautifully that one believes everything the actors are going through,” said Vibha Chopra, Head – Zee Studios International (Film Marketing, Distribution and Acquisition). “Bringing this brilliance forward to maximum people is what we wanted to do. Raazi is a real story of a girl who has been through this, Experiences are something that should be told and the genius of our cinema should be spoken about globally,” Chopra added. 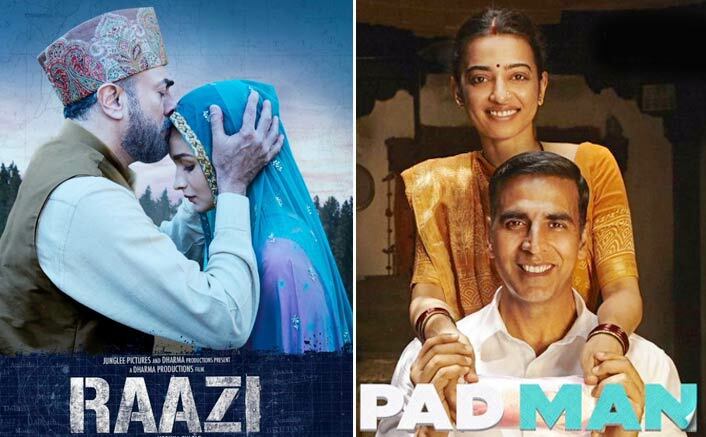 The post Alia Bhatt’s Raazi Beats Akshay Kumar’s PadMan At The Box Office appeared first on Koimoi.